View of Iglesia de Santa Ana and Sabaneta from atop Aves Maria mall. The tall apartment buildings of Envigado and Poblado can be seen in the distance. 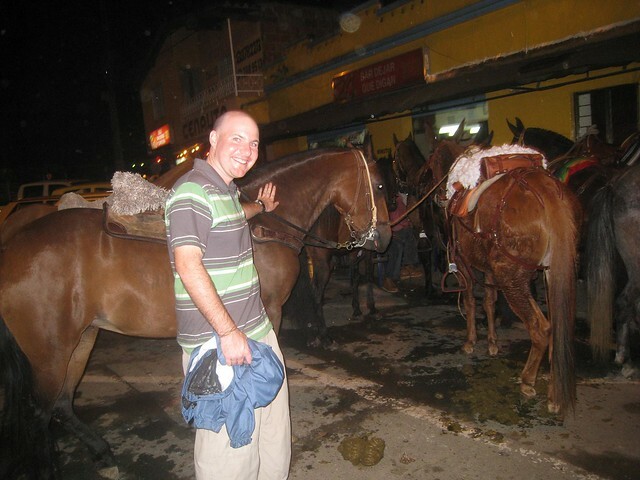 Reflecting back to 2009, my first week in Medellin was a whirlwind of Couchsurfing meetups, punctuated by a big party in Sabaneta on a Saturday night. On the walk to the party, I remember seeing a bunch of horses tied to a pole outside a small bar, where their owners were having beers. This struck me as odd enough to warrant a photo. We were still in the big city, after all, and here were people riding horses into town on a Saturday night. The Couchsurfing party was held in the common area of someone’s apartment building. We talked and snacked, before moving the party to an outdoor bar in the plaza principal (main plaza) a short walk away. My memories of the night include drinking beers, hearing “Me Gusta” by Silvestre Dangond, and posing for a photo pointing to Colombia on a large globe on the sidewalk. More than four years passed before I returned to Sabaneta this past Easter Sunday to get to know what a paisa friend of mine calls “the future of Medellin” a little better. When asked why he thought this, his response was that there was more room to build there. Indeed, space is increasingly limited in Poblado, so developers are turning their attention toward the southern end of the valley. The potential for Sabaneta, Colombia’s smallest municipality according to Wikipedia, helps explain why the metro was recently extended past Itagui. If you’re looking to escape Medellin for a day, and get a feel for pueblo life without leaving the valley, consider a visit to Sabaneta. The metro is the easiest way to reach Sabaneta. Just take the main line south until you hit the Sabeneta station. When you exit the station, turn right and walk across the pedestrian bridge over the highway. It leads to a street you can turn left up and follow almost directly to the main plaza. You can usually follow the lead of others exiting the metro and walking in the same direction, or just ask someone for the “plaza principal” to get pointed in the right direction. Plenty of buses head down there too, but with costs being equal, the metro is the more comfortable option. Taxis are a third and necessary option if you plan to take advantage of Sabaneta’s well-regarded nightlife. 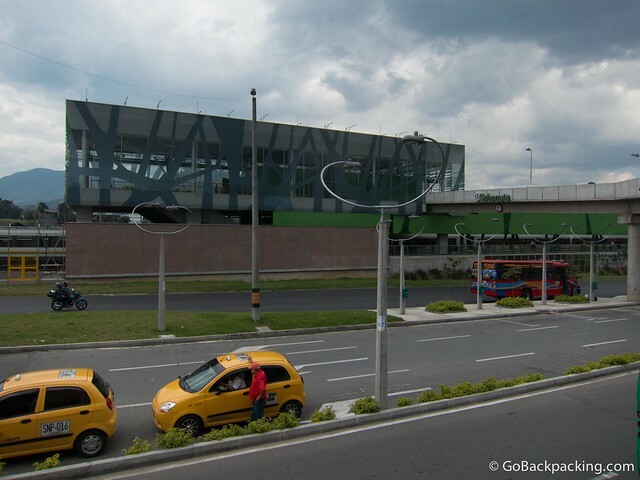 A one-way ride from Poblado to the main plaza is about 15,000 to 17,000 pesos ($8 – $9). Note: Google Maps still doesn’t reflect the new Sabaneta and La Estrella metro stops. There’s not a whole lot of sightseeing to do in Sabaneta. Like visiting a pueblo, it can be fun to just hang out over a coffee or beer, and watch the people. 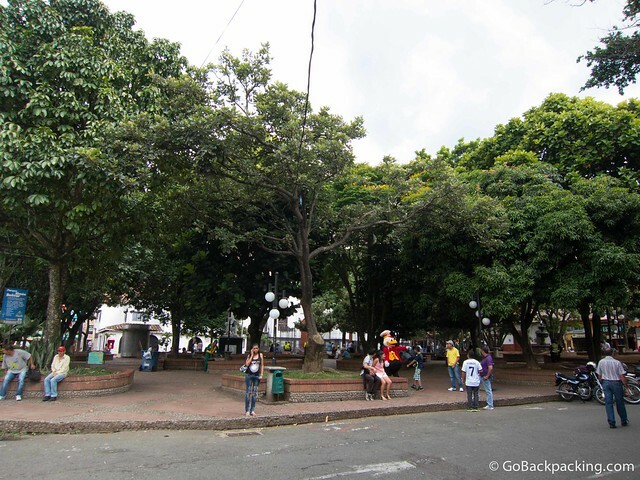 The center of daily life in Sabaneta is this tree-filled plaza no larger than one square block. The Igelesia de Santa Ana takes up one end, with the rest surrounded by bars and restaurants. 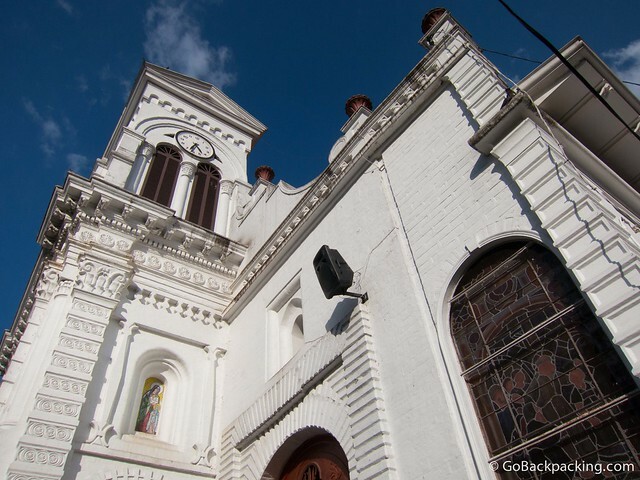 Located in the Parque Principal, this Roman Catholic church was constructed between 1897 and 1930. As we were standing outside the front door, Viviana mentioned this is the church were the sicarios are known to pray. The thought of assassins asking for forgiveness struck me as ludicrous. 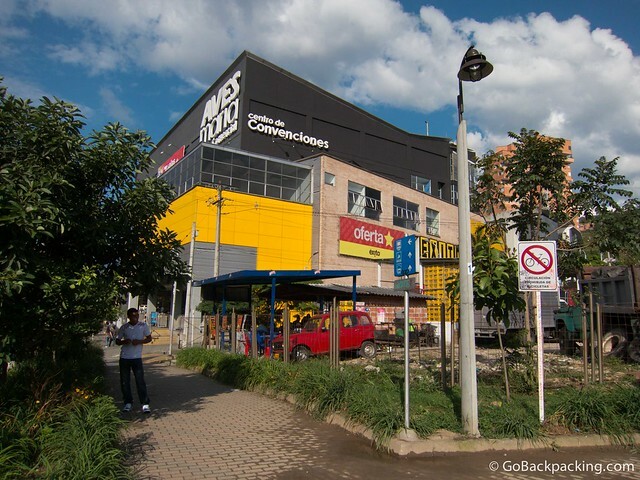 This centrally located mall, 4-5 blocks from the Parque Principal, offers a variety of stores, as well as movie theaters, but the best part is the indoor/outdoor food court on the top floor, which offers scenic views of Sabaneta and the valley. The Wikipedia page for Sabaneta also references the Faro-Monarca building, but I could find little else (in English) about this project. I made it a point to confirm whether it was actively being built. According to a taxi driver we asked, plans to construct Colombia’s tallest building in Sabaneta were trashed after it was learned that illicit money (presumably from drug trafficking) was going to be used to help fund the project. The video above shows what it would’ve looked like had it been built. When I asked readers on Facebook for suggestions, I was referred to La Doctora, which one person said served up the best meat in Sabaneta. Indeed, it turns out the restaurant is something of an institution, and most taxi drivers will know it by name. If you want to walk, it’s about 10 minutes from the main plaza. The menu features everything from breakfasts to desserts, with a variety of steaks, chicken and fish on offer. Under the typical meals section, you’ll find bandeja paisa, and some of the gnarlier options, like morcilla (blood sausage), chicharron (pork fat), oreja (ear), and lengua (tongue). 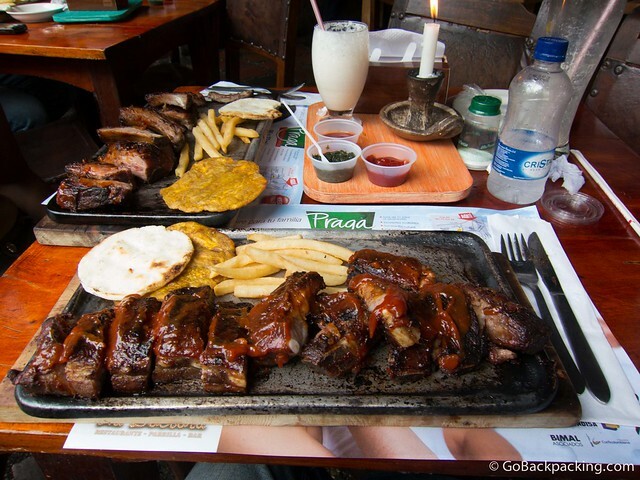 Both Viviana and I opted for a full portion of ribs, Costilla La Doctora (26,500 pesos, or $14.50). As you can tell from the photo above, these are large portions, served with a few fries and patacones. We each managed to eat about half our ribs, and took the rest to go. La Doctora also happens to be the name of the neighborhood in which the restaurant is located. 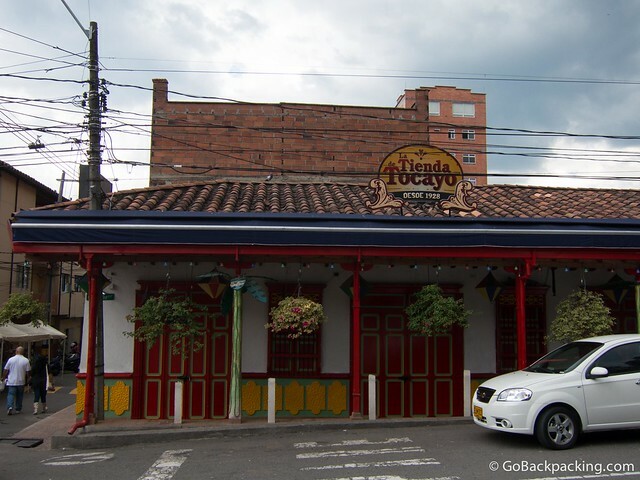 Behind it is a small strip of fondas, the more traditional style of Colombian discotecas. Another restaurant which has been recommended to me by several people, especially on Tuesday nights around 6 PM, is El Viejo John. It’s a half block from the main plaza, and therefore easier to stumble across, and features more typical Antioquian food. I intend to eat here on my next visit, though I’m still not sure what makes Tuesday evenings so special. There’s not a lot of information in English on Sabaneta’s nightlife, but Canalon was a name I spotted. It features both a bar area (pictured), as well as a larger discoteca behind it. Fonda Sitio Viejo – Parque Principal. Drinks only. When I walked into Sabaneta’s main plaza again, for the first time in over four years, I instantly recognized it, as well as the row of tables and chairs lined up outside Fonda Sitio Viejo. This was where I’d sat, drinking beers with the Couchsurfing group! Only now, they had prettier tables with the caricature of a paisa on them. The location was still perfect. For nostalgia’s sake, I sat down for a beer and some popcorn. Around the corner from the park, and adjacent Sitio Viejo, is Fonda La Herreria. The view isn’t quite as nice, since it faces a main street, instead of the park, but the atmosphere is similar. Located a block from the main plaza, La Tienda Tocayo is another traditional fonda-style bar. With its painted facade and hanging plants, it looks as though it was taken right out of Guatape. But given the sign indicates it was established in 1928, it’s dates back to the days when Sabaneta was itself a little pueblo. Tropical Cocktails is a chain of bars in Medellin, and I clearly recall their location in Sabaneta as being a hot spot on Sunday evenings. Often tired from going out on Thursday, Friday, and/or Saturday nights, I never did make it there to verify whether it lived up to that reputation. For up-to-date information on what’s going on in Sabaneta, check out En Sabaneta (Spanish). Do you have a favorite bar or restaurant in Sabaneta? Share your recommendations in the comments below. Thanks Jhon, that’s a big help, since I’m also writing a post about La Virgen de los Sicarios, and one of the main characters, Alexis, makes his weekly pilgrimage to the church in Sabaneta every Tuesday. You’re welcome. We always find that, kind of odd, I mean, we always wonder why sicarios, being such muderers so to speak, are so loyal to the holy Virgin, and that’s one of the reasons why we use a popular saying here that says “El que peca y reza, empata” lol. You’re not the only one. My roommate’s first name is spelled “Jhon” too. He’s the first person I’ve met with it spelled that way. ever about my forth coming visit in early 2014……. Keep up all the good work….. the more I know the more living in Colombia become high on my priority list.. Visited in Medellin in 2010, and loved it. Glad to hear it. 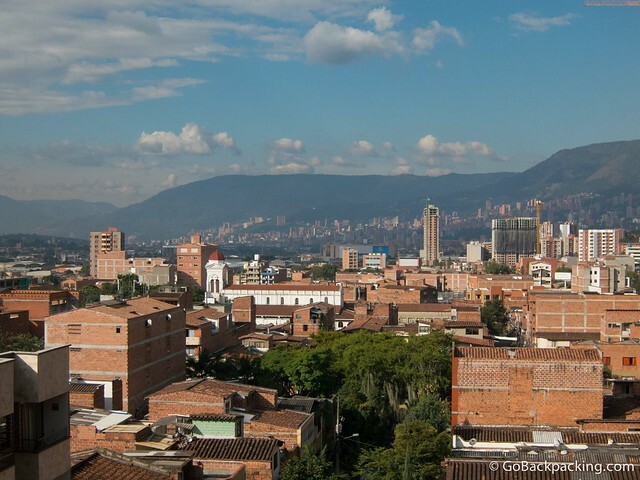 Yeah, Sabaneta holds a certain appeal to some expats, specifically because it’s a good distance from Medellin (yet still close enough to commute if you work downtown, especially now with the metro). I have so much nostalgia reading this post. I lived in Sabaneta for four months before moving to Medallo. I always find myself returning every time I’m in the valley. If Tomasa and I had the money and worked in the south we’d hands down move to Sabaneta. Be sure to check out “La Alma Llanera” when you get the chance for some good cow back (mamona a la llanera). Kevin, I remember you were a fan of Sabaneta, and have always associated the city with your time there. Are you sure about this Dulce Jesus Mio located in Sabaneta? 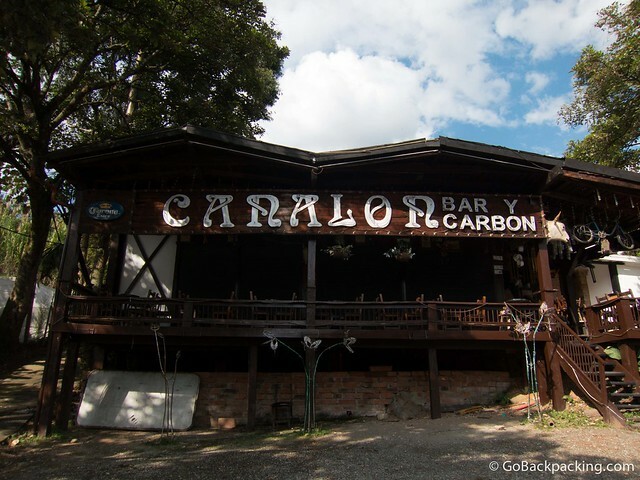 I have been to Sabaneta many times exploring the nightlife there and never have seen this place. I was in Sabaneta last night with a Colombian friend who lives there and he doesn’t know about a Dulce Jesus Mio located in Sabaneta. I also asked a local Sabaneta taxi driver and he only knew of the Dulce Jesus Mio discotecas found in Las Palmas and a second location in Itagui. But if there is a Dulce Jesus Mio in Sabaneta it would actually be a third location. I’m not sure. The second address shown on the website is “Mi Pueblo, Cra 42 #67 – 151” which I’m able to locate on Google Maps next to Mango’s. But if you search online for “Dulce Jesus Mio” you’ll also find the address I listed in articles like this one. Maybe it moved from Sabaneta to Itagui in the last few years? To be safe, I’ll remove the mention, since I don’t want to send anyone on a wild goose chase. My post may be a little off subject but I just returned from spending a wonderful week with my soon to be wife. She lives in Sabaneta. We both stayed at the Hacienda Hotel La Extremadura in Sabaneta. Perhaps a little out of the way for some folks but I found the service was terrific and the resturant outstanding. Good food, nice people and cant wait to get back to Columbia. 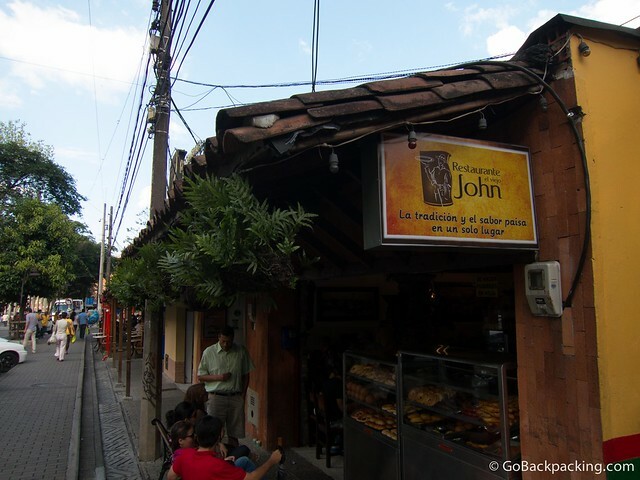 I’m a new reader of your “Medellin Travel Guide”. I’m retired and living in Florida but I am seriously considering a move to Colombia. I visited Medellin last year and fell in love with the city. I have a retirement income of $2300.00 per month. What type of lifestyle could I enjoy in Colombia with that? Will continue reading your guide.